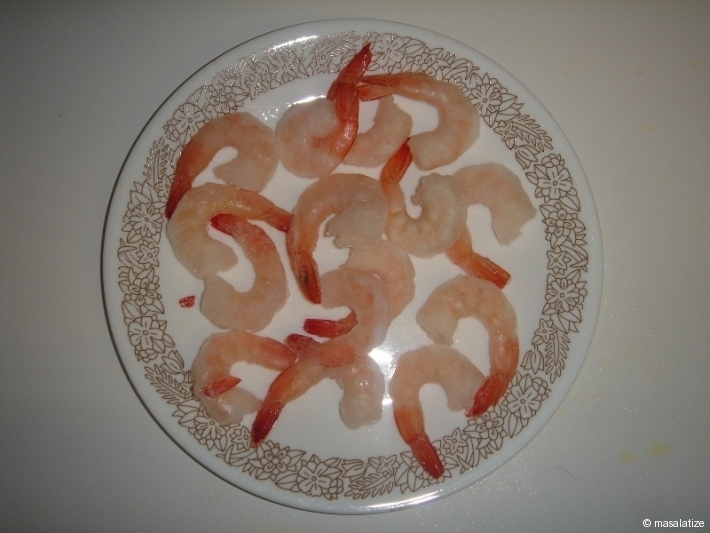 I love to learn about different cuisines and try them in my kitchen. 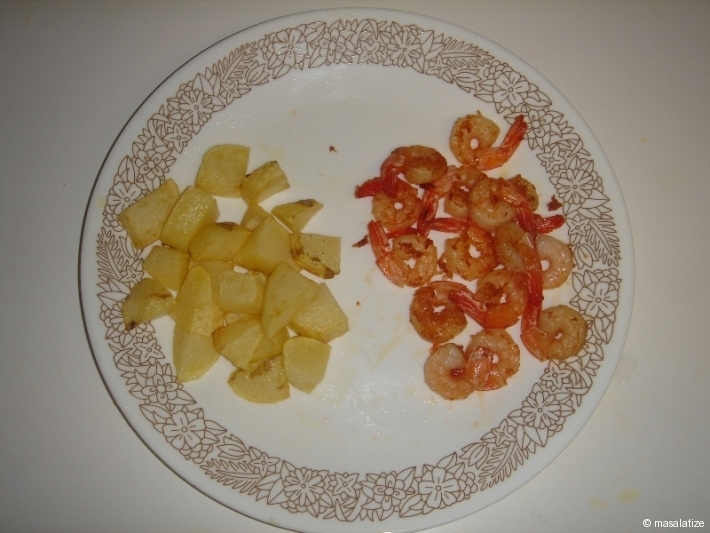 Fry the Potato and Prawn. 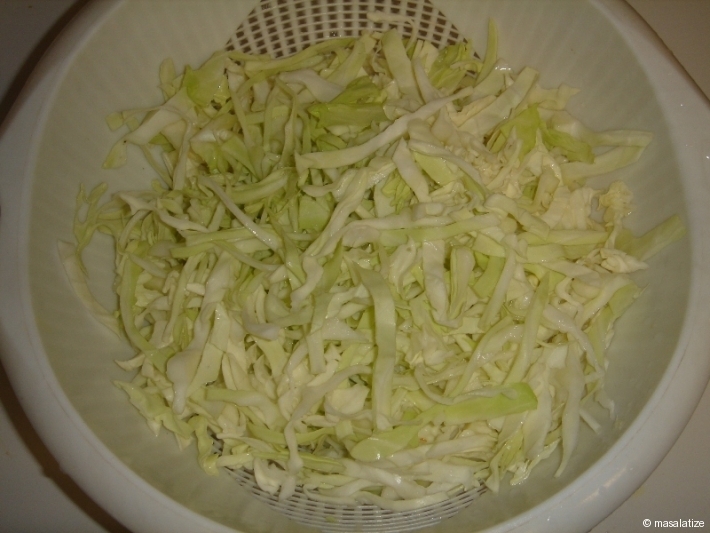 Wash the Cabbage and pat it dry . 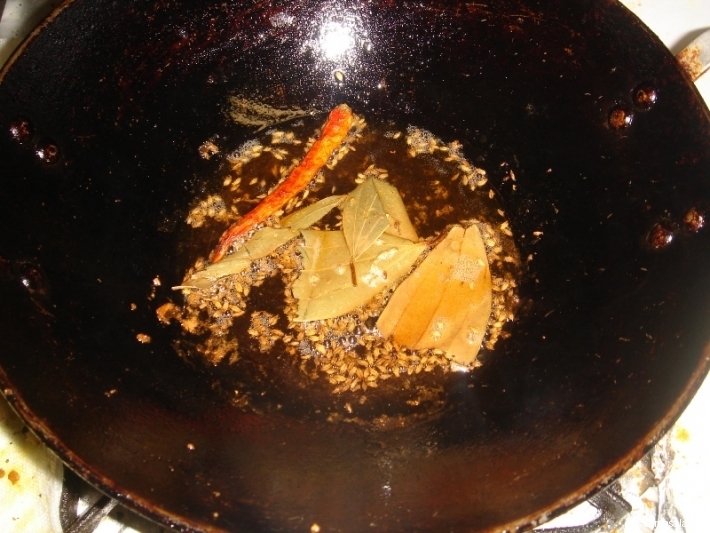 Heat up a kadai , add dry red chilly temper it with cumin seeds , bay leaf. It goes well with rice .While we had it with Chappati for dinners . 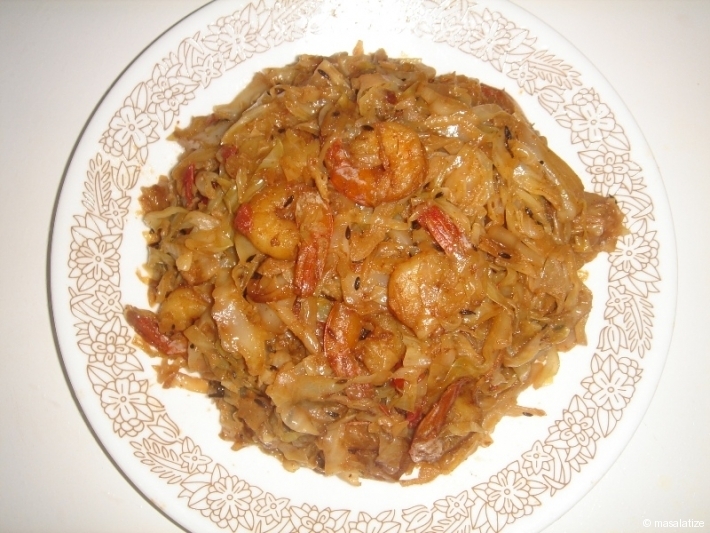 I tried this recipe with shreded brussel sprouts, it was great! Good to know. 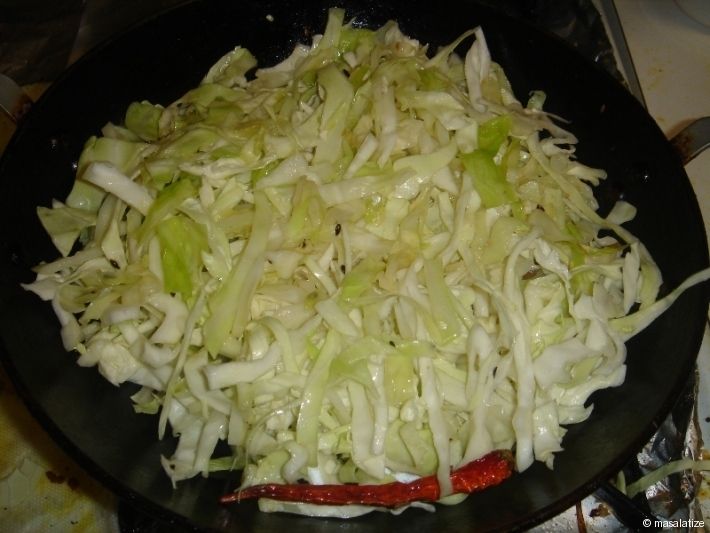 Sounds like typical cabbage fry we make in India.